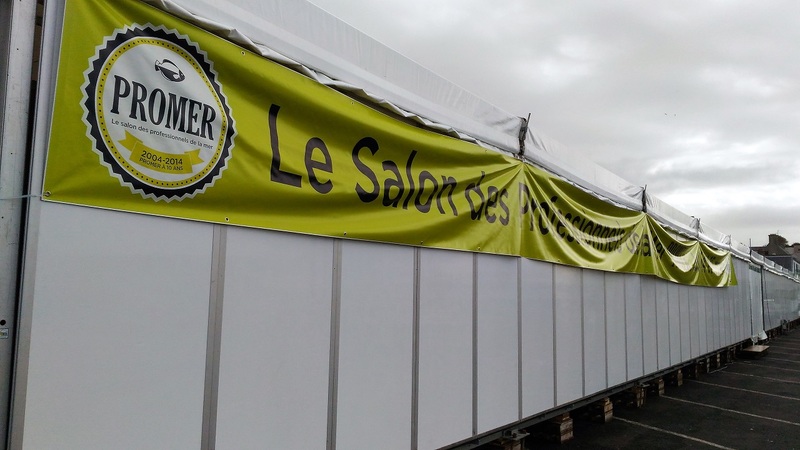 The Promer show, one of the traditional events of the French shellfish farming sector, has been held this year in Granville, Normandy, from 14 to 15 March. 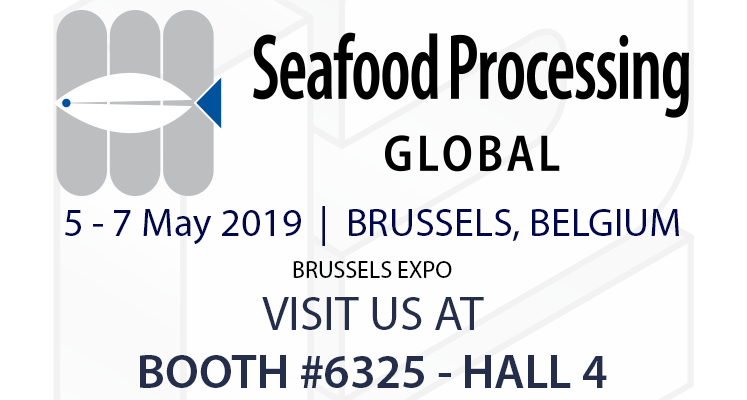 Originally located on the port of the Breton town of Saint-Malo, the event has been moved to provide a meeting place and information exchange more suited to the growing number of oyster farmers, mussel farmers and operators in the shellfish industry. 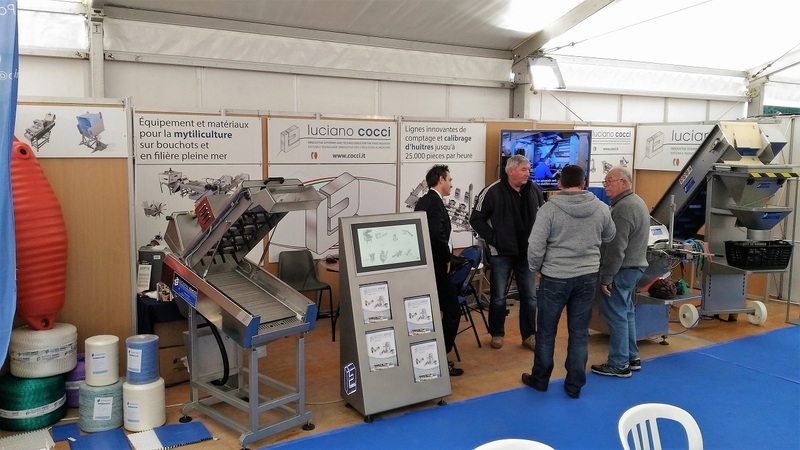 Our presence at the show is a natural consequence of the growing interest that the French market has shown in recent years towards our machines and our solutions. In fact, although the shellfish packing industry in France was traditionally linked to a product sold in bags of 5, 10 or 20 kg, the large supermarket chains have started to request increasingly lighter packages, bringing some of the most important operators in the sector to choose automatic packaging equipment like our Economy Bag Trace. 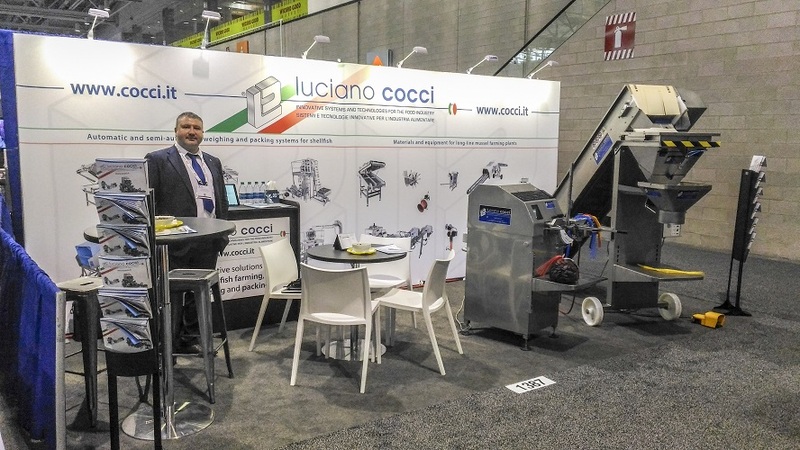 We took advantage of our exhibition space to present some of our most requested machines for packaging shellfish. 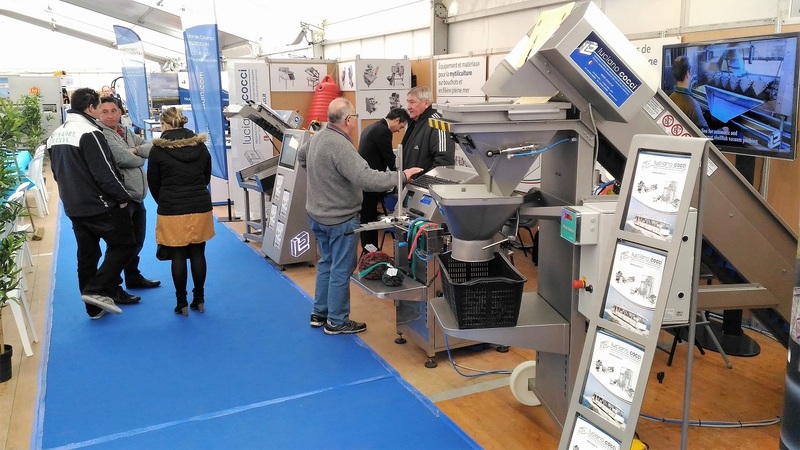 In particular, we exhibited the new version of the electronic weighing belt with two stainless steel weighing cells, the SB1 debyssing machine, dedicated to small productions and capable of working up to 500 kg of product per hour, and the latest model of the manual bag closer with thermal printer - an absolute novelty in the French market, where many companies still work in a totally manual way, printing the labels in the offices and sealing them in the bag with pretty inefficient operations. 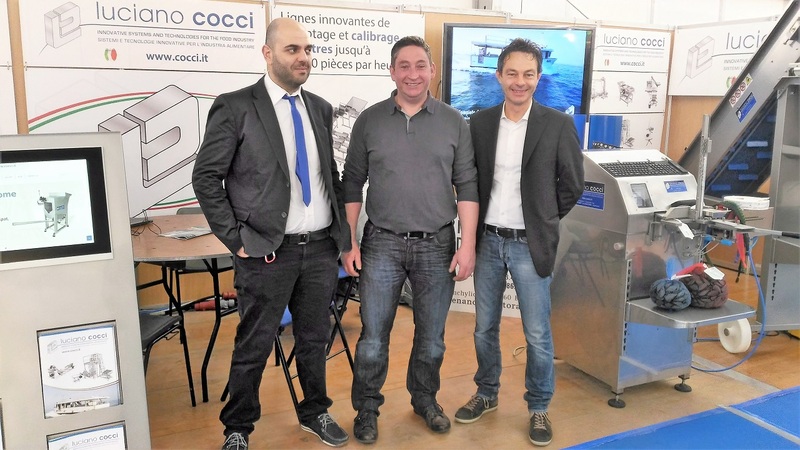 We also took the opportunity to present two large projects carried out in the last year, of sure interest for the French oyster and snail processors: an automatic weighing and packaging system for snails in vacuum trays, composed of transport conveyors in modular belt and a mechanism for removing shell fragments from the product to be packaged; an automatic system for the selection, weighing, counting and distribution of oysters in batches of variable numbers, capable of processing up to 18,000 pieces per hour. 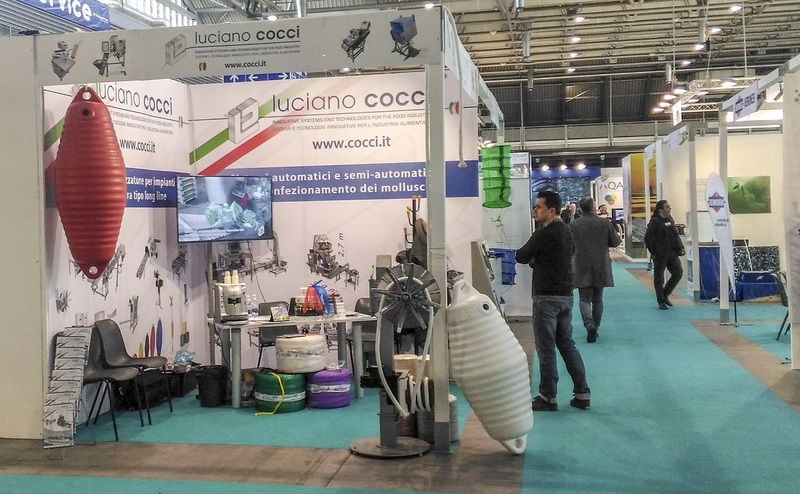 During the two days of the show, the professionals of the shellfish farming and packing industry have had the opportunity to meet a hundred specialized exhibitors to discover the latest technologies and innovations in the sector. It has been great to see you in our booth!